Today almost every Internet user, even if not used Skype, then at least heard of it. 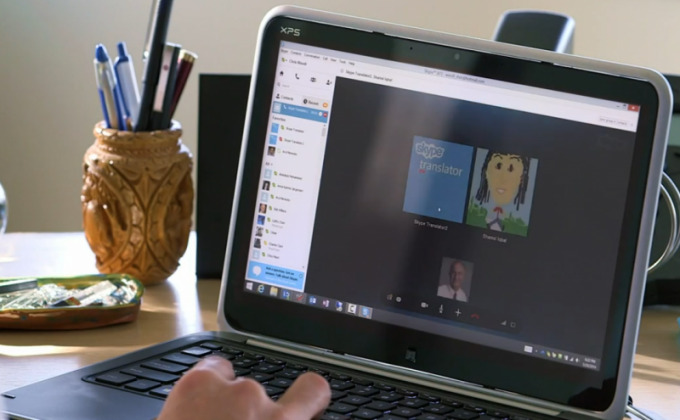 Skype allows you to make calls from PC to PC and call from the home PC to mobile and landline phones. However, there are times when the sound quality when speaking with someone significantly suffers. We will try to understand the causes of sound degradation and their possible workarounds. - ability to work with your Manager sound. - ability to use sound recorder in Windows or other OS. - the ability to check audio settings in Skype. - a skill check the settings of sound in the medium of its operating system. So, causes of noise in Skypee can be several. The first thing to understand that the Skype software in the course of its work, the noise may not generate. In 99% of cases the worsening of communication is the fault of the users. The first reason is poor Internet connection. 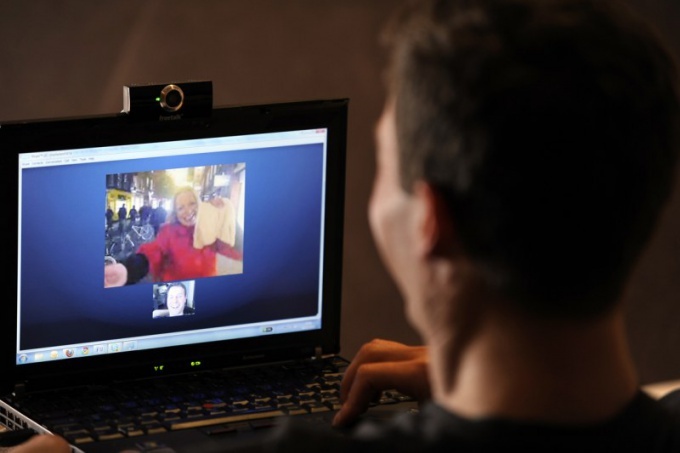 Though Skype and does not require a broadband connection, yet it can happen that the program You will be too "weak" of the Internet. The only thing we can advise is to change the provider or switch to another tariff. The second reason is faulty hardware (a physical fault). Check your microphone to malfunction. Use any audio recorder and listen to what happens at the output. You can use the standard tools of the system. For example, in Windows XP, the path up to the recording of the programme as follows: "start" - "All programs" - "Accessories" - "Entertainment" - "sound Recorder". In Windows 7 sound recorder, you find even easier — open the "start" and in the search field, type in the word "recorder". By searching for, you will quickly find this a useful tool. If the sound recording audible noise or creaking, that it is necessary to understand by the microphone. If at the moment there is no way to replace it is OK, try to impose the microphone with foam or dress it up with a fur ball (like video reporters). Also ensure that the microphone when talking located from your mouth no farther than the zone of its sensitivity. When speaking on the microphone is too far away, in this case, interference may occur. Sometimes quite strong. The third reason is malfunction in the software. If you have a working microphone, and the sound quality is still not up to par, try to reinstall the sound card driver supplied with drivers for the motherboard. You never know what. If You have a driver from the company Realtek (this firm is found in most of the cases), the sound control panel, select the tab "Microphone", try to enable "noise Suppression" and "Suppress echo". The same process, you can request your buddy if you can hear the noise from his side. Also you can try to reduce the sensitivity of your microphone. In Skype it can be done in the following way. Go to the menu item "Tools" - "Settings" - "audio setup". In the window that appears you will see "Microphone". Check that the volume was set reasonably. Either check the "Allow automatic configuration of microphone". Try to say something into the microphone. Against the field "Volume" you will see the results microphone. In addition, You can check the recording volume in the sound settings for your video card. In the case of drivers from Realtek - go to the tab "Mixer" and check the audio level slider to "Record". Depending on the installed audio card the above settings may vary. Therefore, if you encounter problems, use the manuals for your hardware and software. Remember that the Skype will not spoil your connection. The reason most likely lies on your side. 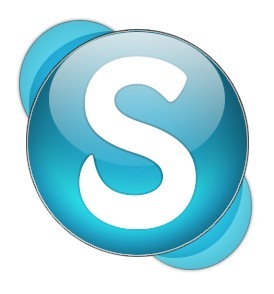 The first call on Skype is often accompanied by a variety of problems. For example, the other party cannot hear you, although you hear it. In this case, you need to check microphone settings in Skype and on the computer. Many users Corecast have problems with sound. You start to call a friend and it turns out that the other party cannot hear you. And you perfectly hear it. A very awkward situation. As a rule, it can be affected by 4 factors: the equipment itself, the settings in Windows, settings, programs Kurei Internet connection. So, you first need to check whether the connected microphone. Need to connect to minijack connector, which usually has a pink color. On the computer this connector is most often located on the back of the system unit. And on a laptop, this connector is either on the left or on the right side. Next to him is another headphone Jack. It is important not to confuse them, and because of this it may be a problem that you don't hear. Usually above each connector drawn icon, headphone or microphone respectively. Then check the settings in Windows. You need to determine whether audio and installed drivers for it or not. You can check this in device Manager (menu on the shortcut to "My computer", then "Properties" and "device Manager"), it is also possible to update the driver. Also driver can be installed from the disk that comes with the computer or download from the official website. If the hardware is working properly, then move on to the next step. So, the MIC on the computer works, then the problem lies in the settings of the program Skype. To check this, open Skype, choose in menu line "Tools", then go to settings and select "audio Settings". To the right will be a button microphone settings where you need to choose your device. If the select list is multiple devices, try selecting them one at a time. Perhaps you have configured the selected one microphone and connected very different. To test your microphone, say a few words, and the volume bar (located below) should react to your words and partially painted green. You need to choose the device responds to the volume bar. After saving these settings, your interlocutors will hear you. If the problem still persists, ask the caller to verify such a manner a private audio settings. Perhaps the problem lies in its equipment. Also bad audio can be the case slow Internet one of you. To solve this problem, it is possible to upgrade to higher Internet speed. To determine why the sound disappears, you need to check the sound settings in the system, the speed of the Internet connection and make sure that the computer does not have viruses. In addition, the problems can be due to incorrect microphone settings or speaker. Sometimes this situation when, after Skype lost sound on the computer. But up to this point everything worked fine. And again came the sound, you have to restart the computer. In such a situation you need to reinstall drivers for sound and driver DirectX. In addition, you need to scan your computer for viruses, this problem can occur because of this. Alternatively, you can try to restore the system to the control point when the sound worked fine. The sound may skip or be interrupted for another reason – low speed Internet connection. If the sound "floats", it is also connected with the Internet. The only solution in such situation is the transition to a faster rate or change service provider. In addition, there may be a problem in the modem or Wi-Fi router – they may have low bandwidth or not be corrupted. If during a call on Skype the other person lost the sound, it doesn't work or your microphone or with speakers of the interlocutor. The first thing to do is to determine who is to blame for this problem. For this you need to make a call to another subscriber from your list of contacts. If he can't hear you, the problem lies in your microphone. If he hears you perfectly, then MIC everything is fine and the problem lies in the computer your first companion. And your companion need to ensure that speakers everything is in order – for example, turn any music file or make a test call the robot on Skype. And to check the speaker settings, go to menu "start" select "control Panel" then go to "Sound" and click 2 times on "Dynamics". You must then go to the "Levels" tab and make sure the volume slider is not at zero. Otherwise, you need to move the slider, for example, to 40. To save changes, click "OK". If the sound disappears you have, then you need to the same way to test your speakers and microphone of the interlocutor. To disappear and the sound in Skype is also maybe due to the fact that you or your companion badly calibrated microphone. Rather have low volume for microphone. For this you need to check the level of volume by going to 'start – control Panel – Sound – Recording – Microphone". In this window you should set higher microphone volume by moving the slider to the right.